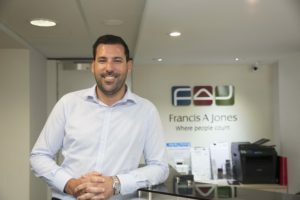 Every business needs an accountant, and it costs no more to engage the expertise of the CPA qualified Accountants at Francis A Jones, Fremantle’s oldest and largest accounting firm. In addition we can provide advice and planning to legally minimize your current tax commitments and avoid any unforeseen future surprises, as well as accurately preparing and lodging your annual tax return, business activity statements, FBT returns and other compliance obligations. Our broad client base and long history has provided us with the experience in all business sectors, including an unrivalled expertise in the local fishing, marine and medical industries. 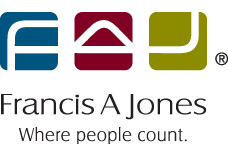 At Francis A Jones we take time to understand your business, your needs and your circumstances. We are accessible and available. We’re experienced and knowledgeable. And we’re very good at tax. Our success is built by making life long relationships with our clients based on trust, honesty and good old fashioned service. Equally we adopt the latest technologies to ensure our services are delivered efficiently and on time. Find out why we have been the trusted advisor to so many businesses in the last 85 years, and why both our team members and our clients stay with us for so long – something that makes us the envy of the accounting industry. Our “Where People Count” philosophy is embedded in our culture and in everything we do. For more information about our business accounting services contact the FAJ Team at email@faj.com.au or call us on 08 9335 5211.